In February, the Publicity Creating Company organized a photo session for the LEACOND Company - the official trading partner in Ukraine of DAIKIN Corporation. Photo-session was conducted in a professional photo studio. Its main idea was to create an image of successful, dynamic company with a united team of professionals. Images after photo session will be used to create image advertisements, as well as for covers of special editions. The Director General of Publicity Creating Company - Valeriy Kureiko marked, "We conducted photo session for our client in order to shoew signifacant changes in the Company. 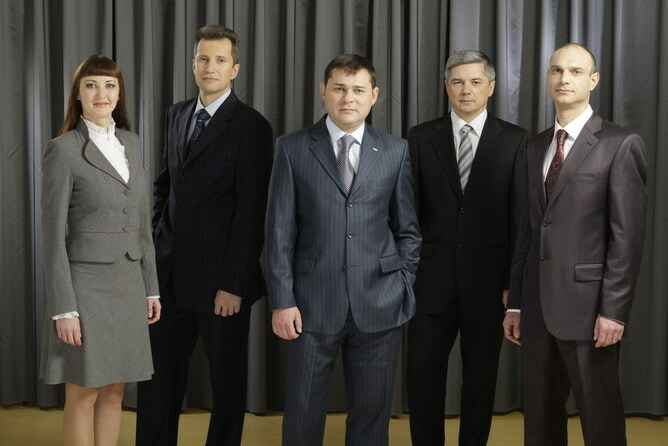 Image advertisements of LEACOND Company are unique because they picture living people - employees of the Company. leader of its market segment in Ukraine, and this is shown in results of the photo-session.